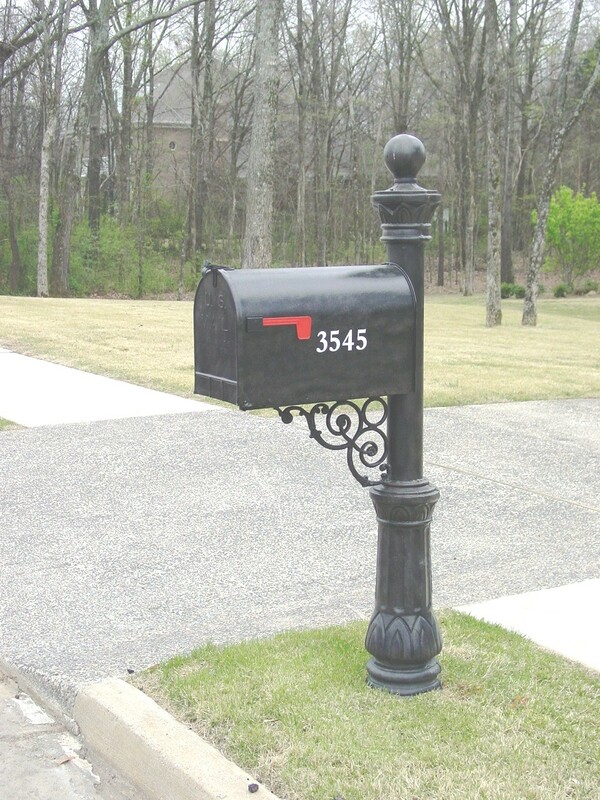 MB10 Mailbox post is made with 2" schedule 40 post that is 18" in ground with decorative fluted corinthian post and pineapple crown- powder coated black. 12 optional powder coated color with antique brown and antique green. Optional mailbox is available in matching colors. 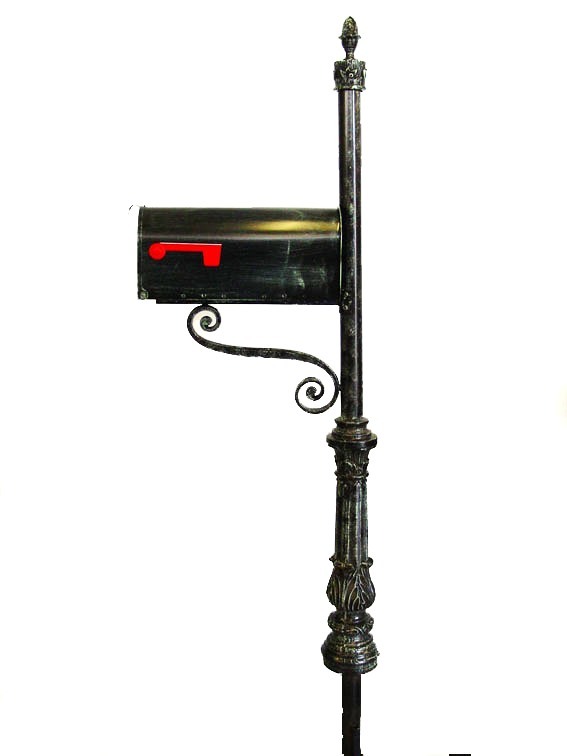 MB21 Mail Box post stand is built with 4" schedule 40 post and fluted decorative cast iron post with decorative crown on top and pontalba cast to support mailbox. The optional Extra Large mail box is sold seperately. Post has 2' in ground with remainder above ground 72". Available in 12 different finishes. Shown powder coated black with an antique brown finish.